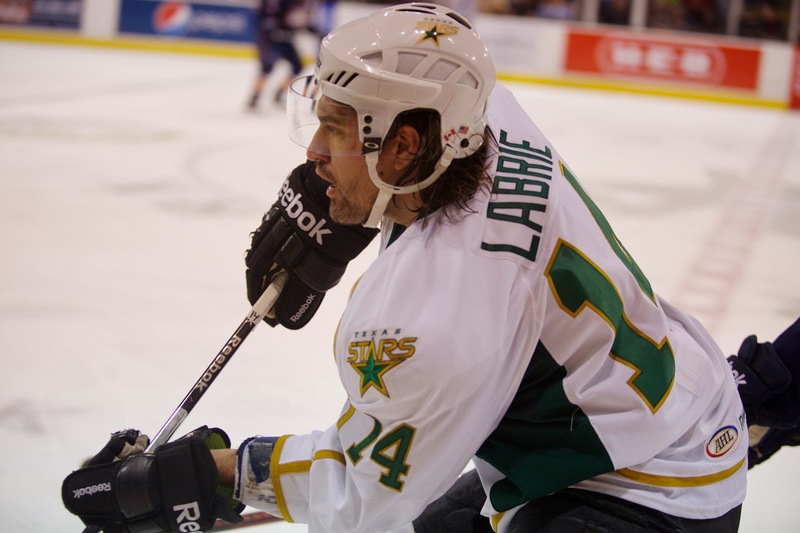 With just six defensemen on the roster, Texas recalled Hubert Labrie today from Idaho. 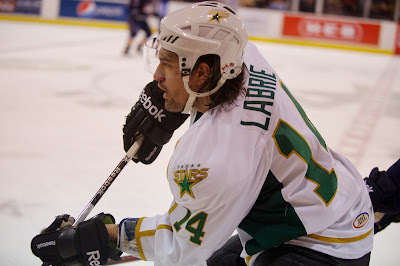 The Texas Stars, proud American Hockey League affiliate of the Dallas Stars, announced today that defenseman Hubert Labrie has been reassigned by Dallas to Texas from the Idaho Steelheads, their ECHL affiliate. Labrie, 22, is in his third pro season after being signed by Dallas as an undrafted free agent to a three-year entry-level contract on September 18, 2009. The Victoriaville, Quebec native has played in 97 career pro games, including 64 AHL games for the Stars, with seven points (2 goals, 7 assists) and 68 penalty minutes. Labrie has one assist and five penalty minutes in four AHL games for Texas this year, while also playing in four ECHL games for the Steelheads.